Home / Engadine / Are You Proud to Care? We’re looking for awesome carers to join our team. We have a variety of roles across all shifts at our homes in Engadine, Sylvania and Kellyville. 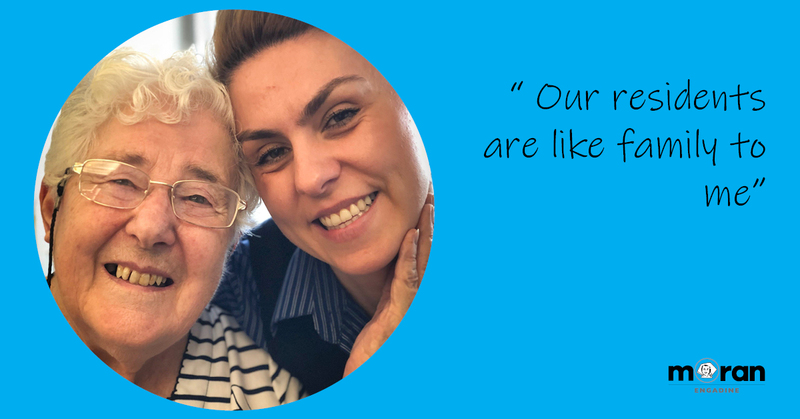 As well as working with our our amazing residents and calling one of our stunning homes your place of work, there are plenty more reasons why you should consider being ‘Proud To Care’ with Moran. Do you need to have any qualifications to apply. My mum lives 6 hours away and whilst I won’t be able to care for her I want to care for someone else’s mum. I currently visit my cousin who is in a nursing home and every time I leave I feel I can make a difference if I worked there. I am currently looking for the challenging yet rewarding role in an aged care sector that will offer me the opportunity to enjoy a rewarding career as part of friendly and supportive team.